The wait is over for Retro gamers and Resident Evil (Biohazard) fans who have been eagerly awaiting the Capcom restoration of the unfinished version of the title Resident Evil 2 (BioHazard 2). 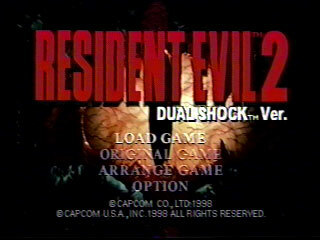 It should be noted that this version of the game was different from the Resident Evil 2 game that was actually released by Capcom. Within hours of releasing a video detailing the restoration of the game Capcom released a downloadable demo of their work in progress. Since Capcom cast-aside the game in the mid-nineties the unfinished game has been sought out by many, with each copy of the game fetching a considerable price. For everyone else though it has been just a game to dream about until now. The downloadable demo appears to have been brought about due to someone unlawfully obtaining this current restoration in progress with the intent on selling and cashing in quickly. Luckily fans caught the alleged person out trying to sell it on eBay. Whilst upsetting, the team decided to retaliate by releasing a playable demo of their own build making any stolen copy worthless. It is sad to think people would stoop to such a level. In light of this though, with warning from the team working on Resident Evil 2’s restoration that the game is very much an unfinished piece that will occasionally crash. The final piece of course will be bug free. This also means retro gamers who have not had a chance to get their hands on the unfinished version of Resident Evil 2 (Resident Evil 1.5) will be able to do so. The downloadable ISO of Resident Evil 1.5 has been made available from The-Horror forums, which can either be played in a Sony PlayStation 1 emulator or on the original hardware via a modchip or backup device.